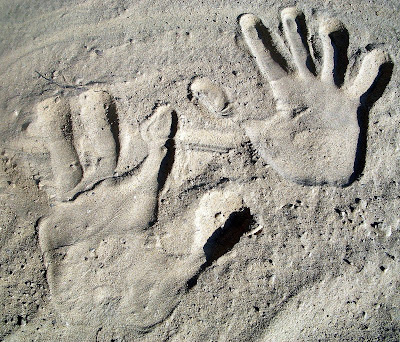 My hand prints in the sand at the lake. This is the last of the cucumbers and the beans. 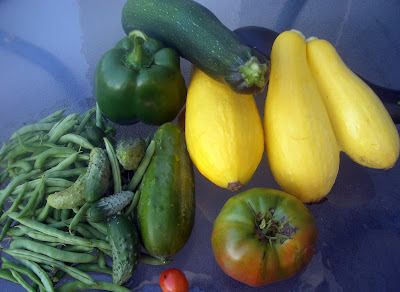 I have pulled most of the zucchini plants. The peppers are supposed to be red but they are not ripening on the plant and I have become impatient waiting for them. There are more tomatoes to come but we haven't had the heat this year.